As we move into spring it is common for all of us to do more activities, whether this is enjoying some gardening, spring cleaning or just getting out and about a little bit more. In doing more, we put ourselves at a little bit more risk of suffering an innocuous injury, these can commonly occur when you go from not doing too much to suddenly increasing your activity or doing something that you would not normally do. Whilst it is certainly beneficial to increase your levels of activity, it is also important to think and plan what you are going to do in order to minimise risk. For example, when carrying heavy object, be aware of your posture and your limits. Unfortunately, even with being careful and with good planning you may get an innocuous injury from time to time. Common Injuries you may get from gardening are back pain, so it is important to think about your posture and to not excessively bend your back – remember to bend from your knees! It is very common to stress your neck and shoulders when cleaning and decorating, especially when you are continually looking up and working above your head, so remember to take regular breaks and keep your neck and shoulders mobile without fixing in a static position. Should we find ourselves on the end of an innocuous injury, help is always at hand. 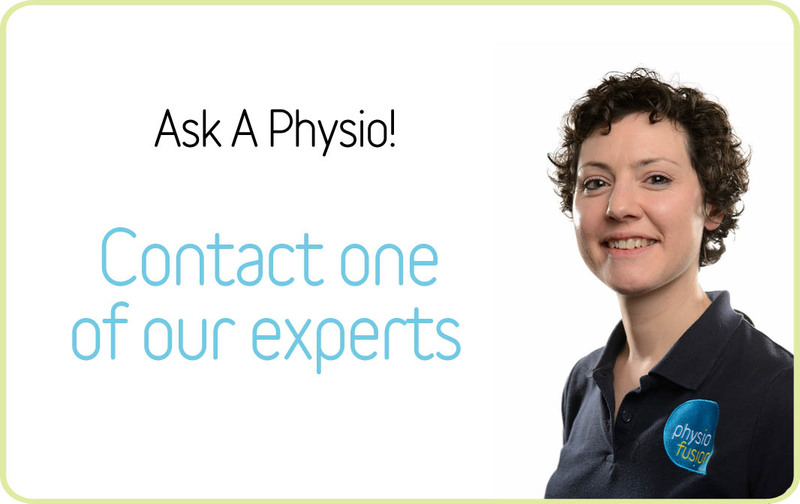 Using our FREE Ask A Physio service online at www.physiofusion.co.uk you are able to get all the answers and advice you need to help with your issue. Seeing a Physiotherapist early after injuring yourself can help to provide you with long lasting pain relief, an explanation of the problem and practical advice and techniques on how to reduce the risk of recurrent injuries, as well as, providing overall piece of mind and reassurance. Many of us can be tempted to ignore an injury and hope that it will improve – whilst some conditions will heal fine in their own over time, leaving an injury can also lead to difficulties as people can reduce their activity levels and use the injured body part less which leads to potential weakness, stiffness and longer term conditions which are more difficult to treat.